E-commerce giant JD.com unveiled its autonomous truck technology on Tuesday, joining a growing number of tech companies in China that are vying to replace humans behind the wheel with self-driving systems. The highly-automated truck, developed at the company’s research centre in the US, has accumulated 17,000 hours of test driving on public highways, according to Xiao Jun, president of JD’s X-Business Division, which spearheads the development of unmanned logistics systems. A video clip screened at an event in Beijing showed autonomous trucks, powered by JD’s technology, driving on American highways with no drivers behind the wheel. “There isn’t much value if our technology can only cut three drivers down to two or even one. We hope the truck is unmanned,” he said. A global race to commercialise autonomous trucks is on, with Chinese companies competing with US tech giants like Uber Technologies, Google’s Waymo and Tesla’s Semi, which have collectively invested billions to ensure a stake in the future of transport technology. Autonomous driving is increasingly seen as an amalgamation of the latest technologies, including 5G, manufacturing and new energy. JD’s move is the latest in efforts by a dozen Chinese players, ranging from start-ups to bigger firms like e-commerce retailer Suning, to develop self-driving trucks. Last week, Suning announced it has completed the first test of its level four autonomous truck co-developed with self-driving technology company Plus AI. Last month, self-driving truck start-up TuSimple, backed by US graphics chip giant Nvidia, said it was close to launching unmanned port logistics solutions in China. 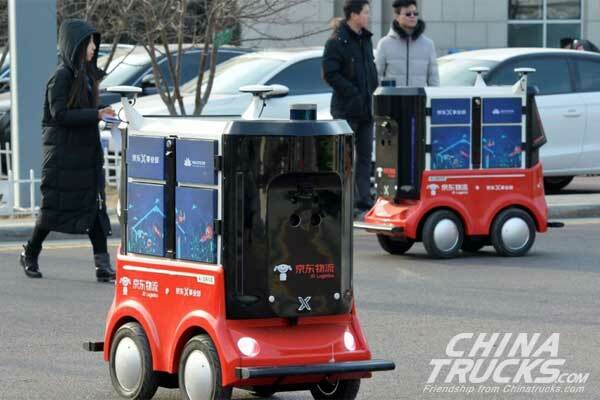 He Xiaofei, former research head of car-hailing giant Didi Chuxing, has started an unmanned truck venture according to Chinese media reports while NIO Capital, a private equity fund founded by Chinese electric car start-up NIO, announced a similar move last month in conjunction with the country’s internet of things (IoT) firm G7 and logistics provider GLP. China will allow provincial and municipal governments to evaluate local conditions for test drives of autonomous cars and issue license plates, according to guidelines which came into effect May 1.